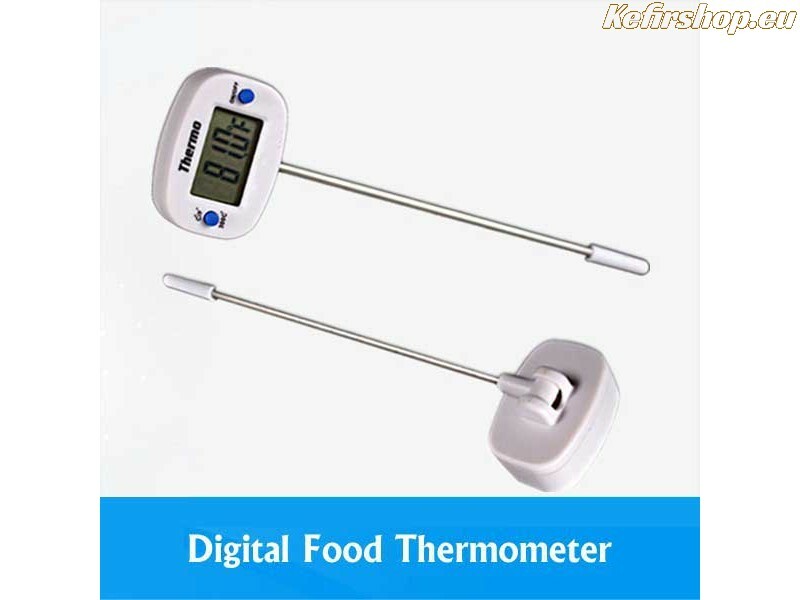 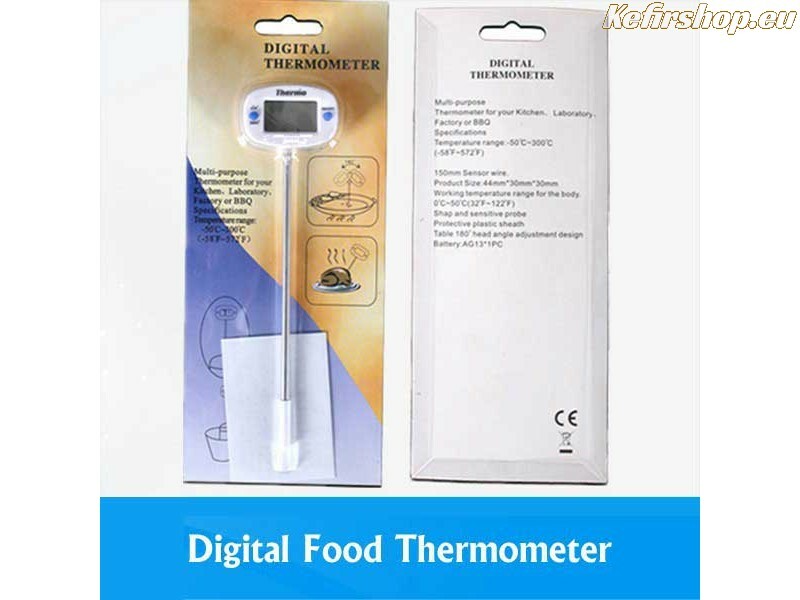 Digital cooking thermometer with metal probe, wide temperature range, suitable for food. 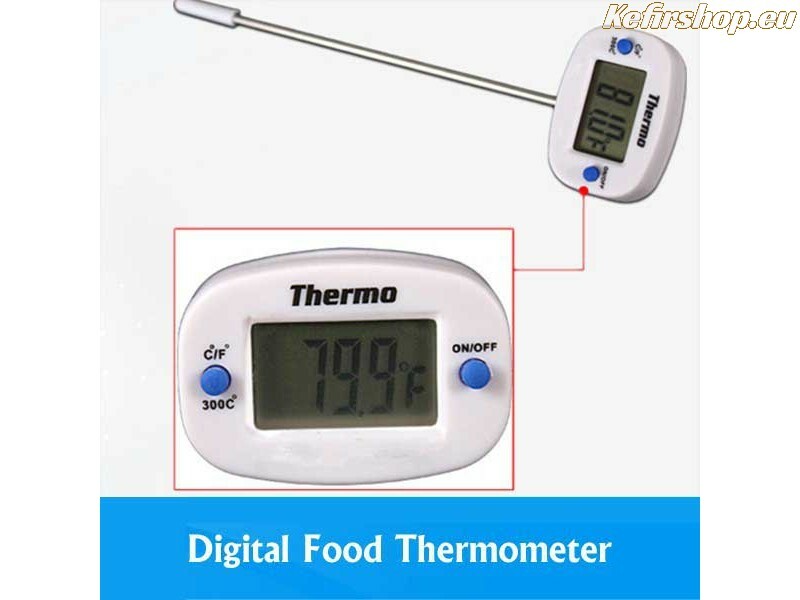 Measure the temperature of food or beverage. 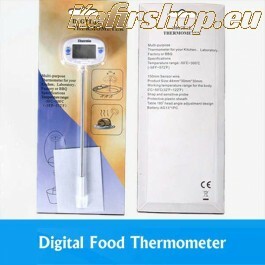 Digital thermometer with stainless steel tilting and feeler length 15 cm Temp. 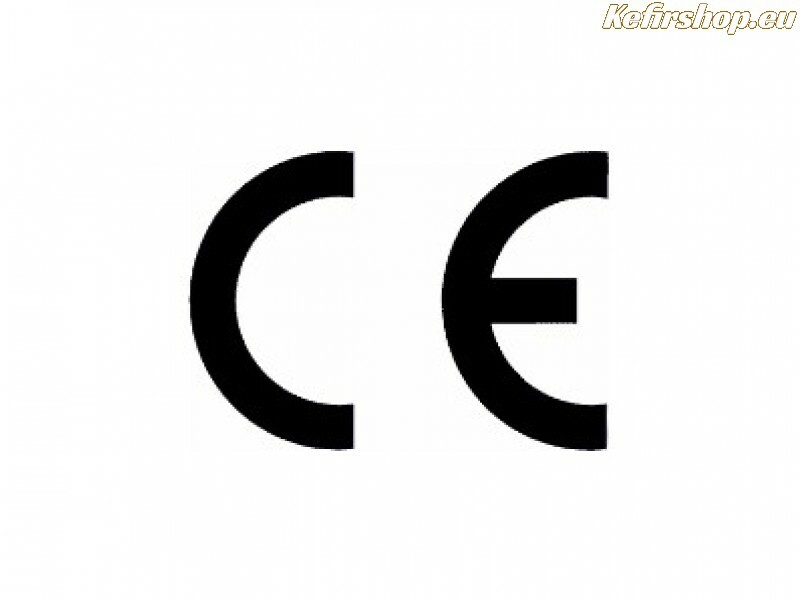 range -50 to 300 C.